This is for 48 pcs. 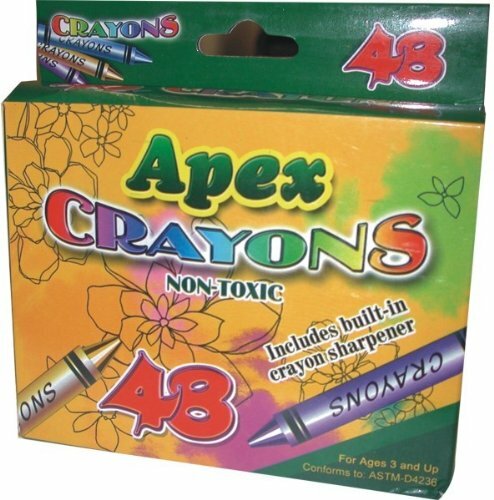 Apex Crayons-48/Pk.- assorted colors - boxed - with crayon sharpener. Very good quality.